Over 50 Games - Free Online, or Downloaded Games at Lazy Mutt Games! Now that every browser has some sort of advertisement blocker running, sites like this one are having a hard time generating money to pay for operating cost and development. Since users like the idea of getting free software, many developers have used ads between game levels to monetize their software. The problem is since users are using browsers that have ad blockers they are cutting into how we can generate money to provide these games for free. 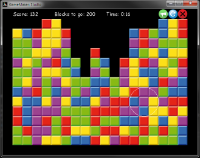 We made some updates and bug fixes to our Blocks game today. Stop on over to our Games Online page and play it online for FREE. LazyMuttGames.com is proud to announce the release of TriPeaks Solitaire to production! Stop on over to our Products page to download your FREE copy of the game. LazyMuttGames.com is proud to announce the release of Blocks Online to production! Stop on over to our Games Online page and play it online for FREE. 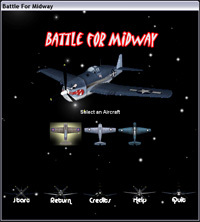 LazyMuttGames.com is proud to announce the release of Battle For Midway Online to production! Stop on over to our Games Online page and play it online for FREE.